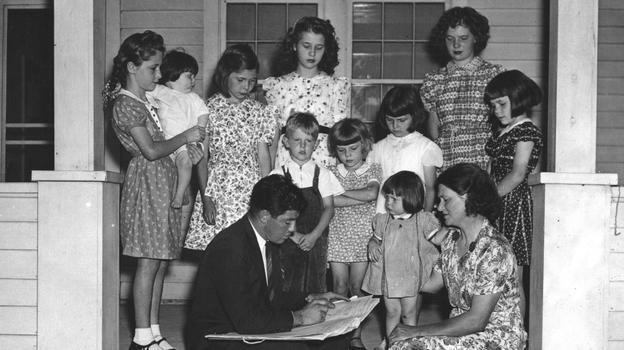 At 9am ET this morning, the National Archives posted the entire 1940 U.S. census online. It is the first time that the information has been made available to the public since the population study was originally published 72 years ago. Consisting of 3.8 million digital images, made from scanned microfilm, the 1940 census offers historians, data miners and curious individuals the ability to see just how much the world has (or has not) changed in the last seven decades. For instance, in 1940, the United States had just 132 million people. That number is now 309 million. As the population increase, so has the average annual earning. In 1940, the average income for a man was $956 — per year. As of 2010, that number is now $33,276. 1. Know the address of the person or people you are trying to find. You will have to know at least the state, county, and city of the address you’re searching for. 2. Find the “enumeration district,” a two-part code that was used to divide the US map into 147,000 distinct geographic locations. 3. Once you have all this information, you’re ready to start browsing. Note: The National Archives also have a brief “Census Research 101” page, which will give you a better idea of how to find what you’re looking for. From our tests, you can still find a lot of interesting information simply by typing in any address, and clicking around. We found some cool maps, and data on our hometown neighborhood in just a few minutes.